EuroSciCon Ltd welcomes you to attend the International Conference on “3rd World Congress on Ophthalmology Euroscicon 2019 during September 03, 04 2019 at Singapore. 3rd World Congress on Ophthalmology is a very crucial area of research. The theme of this year’s meeting which is going to held on 03, 04 September 2019 is “Exploring current trends & future innovations in Ophthalmology" which will provide an international platform for discussion of present and future challenges in Ophthalmology treatments regarding various diseases. This explains the researches done from the different parts of the world. Researchers dealing with Eye Research regarding many diseases of Ophthalmology. The most eminent speakers are welcome to regard the meeting. The most recent information regarding diseases, surgeries, preventions, etc and the most upcoming redesigns in the field of Ophthalmology are highlights of this meeting. Ophthalmology 2019 regarding various diseases aims clinical and experimental examination of eye disorders and therapeutics inside of the fields of Ophthalmic Research. Ophthalmology 2019 maximizes the opportunity to interact with and learn from your peers from across the country and across the globe it held with the discussions on various diseases. EuroSciCon is the longest running independent life science events company with a predominantly academic client base. Our multi-professional and multi-specialty approach creates a unique experience that cannot be found with a specialist society or commercially. 3rd World Congress on Ophthalmology 2019 includes international workshops, lectures and symposia, designated registration area, a refreshment break, and lunch. Ophthalmologists, Scientists, can join the 3rd World Congress on Ophthalmology as an international member to receive discounts during the registrations. So we invite you to come and join the leading experts and allied professionals on the behalf of the Ophthalmology 2019 September 03, 04, 2019 at Singapore. Singapore to keep up with the rapidly accelerating pace of change that is already having an impact on the field Ophthalmology and will continue to in the future. Singapore is both an island and a country, but maybe its best description is that of the city-state. Like the great city-states of the past, it welcomes civilization and order in the highest degree. Its mixture of Western-style growth and Eastern-style calm seems to present the best of both hemispheres. Singapore is a modern metropolis where you feel safe walking the streets and it's an Asian business center that's a model of efficiency. Singapore is also a multicultural city, and its population is expatriates or foreign workers from all over the world. Known for its wish to become the technology hub of Asia, Singapore is the most wired country in the region. Optic Neuritis: Antibiotics and corticosteroids are used to flush out the disease or smother the insusceptible issue from bringing nearby additional injury. Papilloedema: Medications are used to reduce the weight inside the skull. Might need a cerebrum medical process if the extended weight is likely to a tumorous development. Healthful Optic Neuropathy: Lifestyle changes are recommended and vitamin injectables are permitted. Acanthamoeba Keratitis this is an unseen disease which the amoeba can occur at the corner of the eye which results in the permanent loss of visual on eyes. It’s mostly can cause with the contact lenses. They should be properly disinfected before we wear them. While swimming or in cases of surfing it should be removed. 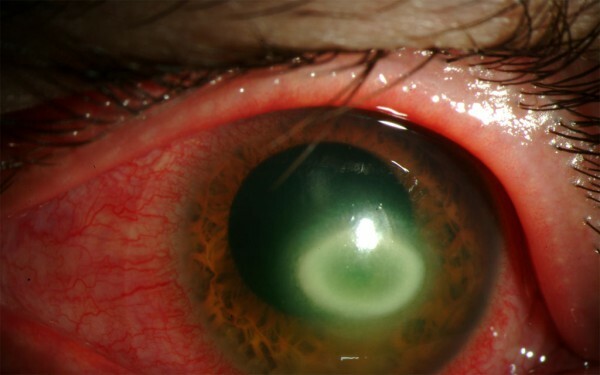 There are many cases regarding Acanthamoeba, who don’t wear contact lenses. This disease can cause by a free-living amoeba it’s called a single-celled living organism. They can find in soil, dust, water sources. It can often be cured without any long-term complications. Glaucoma is a disease relevant to the eye. This disease can cause disorder to the eye which can cause damage to the optic nerve that carries the specific information from the eye to our brain. This disease has no symptoms in our early age, if we find problems with our sight, then it clearly states the vision loss has already occurred and it is in such a high stage that it may be difficult to stop until we undergo with the treatment. This glaucoma also is known as “The Silent Thief of Sight”, if it doesn’t cause any pain and no symptom will be seen until we are at high risk about the loss of vision. Till then this glaucoma stays undetected till the optic nerve causes damage. As per mostly observed cases, this disease is frequently connected with higher pressure than normal pressure inside our eye. The higher pressure is also known as “Ocular Hypertension”, and the normal pressure is called as “Intraocular Pressure”. There is a still chance to get them treated if a symptom has seen, otherwise, it may lead to blindness or visual field loss. 2. Acute angle closure glaucoma. As ocular oncology is an extremely focused field of ophthalmology, there is an active international association between ocular oncologists. Ocular oncology is a multidisciplinary service which involves over-all oncologists, Pediatric oncologists, specialist nurses, clinical scientists, and several others. 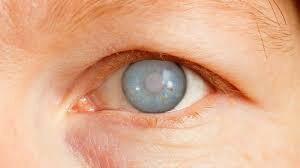 The probably malignancies include uveal and conjunctivitis melanoma, uveal metastasis, intraocular and conjunctiva lymphoma and conjunctival carcinoma. as well as that management of confirmed malignant tumors, ocular oncologists obtain a large number of recommendations of patients with suspected malignant tumors. Diagnosis is based on biomicroscopy, ultrasonography, angiography, optical coherence tomography, autofluorescence imaging, and biopsy. The most common benign tumors include naive, chordal hemangioma. Vasoproliferative tumors and retinal hemangioblastomas. Many of these lesions necessitate treatment or long-term surveillance. Eyelid and orbital tumors are more likely to be managed within Oculoplastic or orbital specialist services. Oculoplastic Surgery is also known as Ophthalmic Plastic, Oculofacial or Eye Plastic Surgery is a cautious sub-specialty of Ophthalmology that bargains with the therapeutic and careful management of alterations and irregularities of the eyelids, lacrimal (tear) framework, circle (hard attachment) and the near to face. An Oculoplastic Surgeon is an Ophthalmologist (medicinal specialist and eye specialist) who has completed extra propelled composes in the plastic medical process as it identifies with the eyes and surrounding structures. This progress is made in both careful and non-careful methods to deal with effective and attractive Oculoplastic medical process. New careful strategies, significant many numbers of which are less obtrusive, new corrective apparatuses with specific utility around the eyes, and new group approaches have powered the energy. The maturing person born after WW2 populace has extended curiosity in corrective methodology; the capacity to work outside the conventional protection framework has added force to the intrigue and curiosity of ophthalmologists. Indeed, the Acknowledgment given to the American Society of Ophthalmic Plastic and Reconstructive Surgery by the Approval Council for Graduate Medical Education will touch-off the conversation over sub-claim to fame board affirmation for the ophthalmic plastic medical process. Nanotechnology includes materials and gadgets of extraordinarily little size less than 100 nm. Nanotechnology has many applications in spreads of the eye, which could be joined under the heading of Nano-ophthalmology. These join medicine movement, examination of path mechanism of eye illnesses, recuperation of the optic nerve, and killing neovascularization compulsory in some degenerative issue. Nanoparticles allow transport of visual meds to specific target goals, and results to date unequivocally recommend that ophthalmology will benefit massively from the usage of this Nanometric scale advancement. Nanoparticles may assume a job in the treatment of conditions relevant to oxidative harm, especially AMD, diabetic retinopathy, and retinitis pigmentosa (RP). Opening designed, mixed valence state cerium oxide (CeO2) nanoparticles also called as Nanoceria particles can counteract light-initiated photoreceptor injury in rodents. This prevention can happen with an infusion of the particles even after light harm has been started. The basic factor that makes these nanoparticles feasible is that their surface territory to volume proportion is moderately high, enabling them to search for responsive oxygen intermediates, as well as to improve their movement and, in this method, demonstration chemically. Astigmatism also is known as a refractive error which states that our eye will not focus light on the retina. This can result in blurred vision at all distances. Astigmatism symptoms can involve eye strain, headache, and difficulty in driving at night. If it arises in early life it can result in amblyopia, which is also known as Lazy Eye. The cause of this disease is unclear, relevant to genetic factors. The unnoticed mechanism includes an irregular curvature of the cornea in the lens of the eye. This can be diagnosed by the eye exam. The treatment for this amblyopia can be completed in three ways “Glasses, Contact Lens, and Surgery”. Glasses are the simplest treatment for it. Contact Lenses can provide a wider space for vision, whereas refractive surgery will permanently change the shape of the eye. Uveitis means the inflammation of the uvea. It requires when the middle layer of the eyeball gets red and swollen. Imagine eye as a hollow ball, the deepest lining layer is the retina, which senses light and helps to send images to your brain and outermost layer is the sclera, the strong white wall of the eye. It has the many blood vessels that nourish our eye and also those blood vessels that carry oxygen to and from the eye. It can damage our vital eye tissue, leading to permanent vision loss. It needs associate degree pressing referral and treatment through oculist to manage the inflammation. A Black eye can occur when we got an injury bruising around the eye or on the face. It causes swelling and dark bruising in the tissue. Then the blood collects other fluids around the eye in the space. Black eye states the sign of the serious injury around the eye. This can be healed in few days if it's not cured by the time it may cause damage to the eye or the eyesight Black eye can be seen in many cases like if we got hit on eye or nose. If we got hit on the nose then both eyes may lead to swelling because of the build-up of fluid in the loose skin beneath the eyes. Veterinary ophthalmologist’s area unit veterinarians with progressive coaching in ocular drugs that permits them to diagnose and treat conditions of the attention together with cataracts, membrane ulcers, conjunctivitis, uveitis, and glaucoma. They also provide treatment for traumatic eye injuries. Routine duties for an ophthalmologist in their private practice it includes performing diagnostic tests, pre-surgical exams, surgical procedures, compiling complete case reports, over checking veterinary technicians or other support staff and giving special consultations on cases referred to them by general practitioners. Ophthalmic pathology is having a long history and rich legacy in the field of ophthalmology. Ophthalmic pathology keeps on being an applicable claim to fame that is essential in the understanding and clinical administration of visual infection, training of eye mind suppliers, and generally speaking headway of the field. Ophthalmic pathologists look at tissues separated by Ophthalmologists to give a correct finding of the illness. The sick tissue is inspected visibly (net examination) and by light microscopy. Different methods, for example, immunohistochemistry, atomic testing, and electron microscopy are additionally now and then utilized. The conclusion of the infection has a vital influence on intolerant care. Visual pathologists use the standard methods of general pathology to make clinical conclusions from the assessment of precisely extracted tissue, going from net examination to routine histopathology and unique stains. Due to their broad learning of the essential life systems and physiology of the eye, visual pathologists are additionally interestingly prepared to apply their skill to different fields of research. Eye pathologists have made numerous vital research commitments prompting the advancement of ophthalmic gadgets, remedial medications, and care systems. 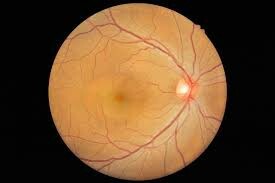 The retina is a tiny layer of tissue inside the back mass of eye. 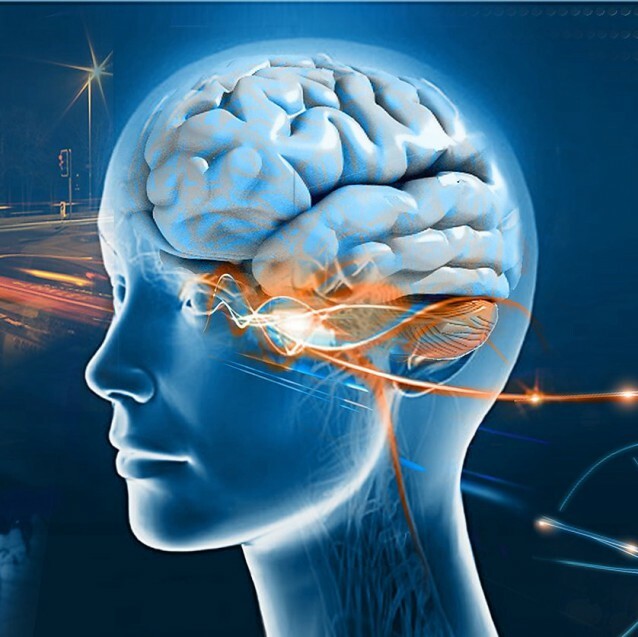 It consists of an extensive number of light-sensitive cells and other nerve cells that obtain and create visual information. The retina sends this information to cerebrum through the optic nerve, enabling to see. The retinal disease has a low required in shirking of visual insufficiency programs in making countries. There are a two of purposes behind this; it was suspicious that retinal disorder was a noteworthy clarification behind visual lack in the making scene and that the rigging mandatory was excessively costly and inconsistent for use in a making country condition. Finally, there is nonattendance of gifted personnel with sub-strength getting ready in retinal infection. Pediatric ophthalmologists concentrate on the development of the visual system and the several diseases that disrupt visual development in children. Pediatric ophthalmologists also have proficiency in handling the numerous ocular diseases that affect children. Pediatric ophthalmologists are qualified to perform complex eye surgery as well as to manage children's eye problems using glasses and medications. Many ophthalmologists and other physicians refer Pediatric patients to a Pediatric ophthalmologist for examination and management of ocular problems due to children's unique needs. In addition to children with clear vision problems, children with the head turn, head tilts, squinting of the eyes, or preferred head postures (torticollis) are typically referred to a Pediatric ophthalmologist for evaluation. Pediatric ophthalmologists typically also manage adults with eye movement disorders (such as nystagmus or strabismus) due to their familiarity with strabismus conditions. A corneal ulcer is a disease with an open sore or epithelial defect with underlying inflammation on the cornea, which is the clear structure in the front of the eye. The cornea overlies the iris the colored part of the eye. And this is separated from the iris by the fluid in the anterior chamber of the eye. It looks like gray to the white opaque or translucent area on the normally clear and transparent cornea. Most corneal ulcer Infections are preventable. Similarly, there is a variety of causes of corneal ulcers, including infection, physical and chemical trauma. Most corneal ulcers are caused by infections. The infections that cause corneal ulcers and are common in contact lens wearers. Bacteria can directly invade the cornea if the corneal surface has been spoiled. Symptoms of corneal ulcers include: redness of the eye, severe pain and soreness of the eye, the feeling of having something in your eye, tearing ,pus or other discharge ,blurred vision, sensitivity to light, swelling of the eyelids ,a white spot on your cornea that you may or may not be able to see when looking in the mirror. Cataract is a disease that makes clouding of the lens in the eye that lies behind the iris and pupil, which leads to a decrease in vision. Those are the most common cause of the vision loss in the people over the age in between 35-40 they often develop slowly and can affect single or both eyes. Cataract symptoms may include faded colors and blurry vision, halos around light, trouble with bright lights, trouble in seeing at night. This leads to difficulties in driving, reading, or recognizing faces. Poor vision caused by this disease may also result in an increased risk of falling and depression. They are the cause of half of the blindness. When the eyes lenses get the opportunity to be shady, Cataract evacuation is, for the most part, supported and in this way Cataract surgery like Cryo-extraction is performed. In Cataract surgery, the lens inside the eye that has wound up shady is removed and supplanted with a mimicked lens (called an intraocular lens, or IOL) to restore clear vision. The system routinely is performed on an outpatient start and does not require an overnight stay in a center or other thought office. Most present Cataract surgery integrates the usage of a high-repeat ultrasound device that segregates the cloudy lens into minute pieces, which are then carefully removed from the eye with suction. The up and coming Refractive Surgery Conference may likewise concentrate on Cataract surgery as this is the most broadly recognized eye sickness everywhere throughout the world. Vision rehabilitation is the procedure of treatment and teaching that helps individuals who are visually restricted to attain maximum function, a sense of being good, an individually satisfying level of independence, and best quality of life. The function is exploited by calculation, diagnosis and treatment including, but not limited to, the prescription of optical, non-optical, electronic and/or other treatments. The rehabilitation procedure contains the development of an individual rehabilitation plan specifying clinical therapy and/or instruction in compensatory methodologies. Vision rehabilitation may be required by any condition, disease, or injury that causes visual damage which results in functional limitation or disability. In totaling to the calculation, diagnosis, and supervision of visual damage by an eye care surgeon (optometrist or ophthalmologist), vision rehabilitation may contain, but is not limited to, optometric, medical, allied health, social, educational and psychological services. At some point in their lives, many people see what looks like small dots of dust or thin threads wandering across their vision and also notice, that blinking does not get rid of the dots or threads. And when the eye moves, the dots or threads move too. These are called eye floaters. Clinical Ophthalmology is the branch of science which deals with eye physiology, eye diseases, and treatment modalities. Clinical ophthalmology performs to diagnose and operates on eyes, by clinical techniques a multitude of diseases and conditions can be diagnosed from the eye. It is the journal made for the research in this field of ophthalmology to a worldwide audience. Developments techniques are important for the research community. The journal gives special importance to the publication of conceptual breakthroughs in the field of ophthalmology. It emphasis the novel discoveries to treat disorders of eyes such as glaucoma, cornea, cataracts, ocular oncology, uveitis, LASIK, refractive and ophthalmic surgery. This journal bound a wide area of knowledge in important parts such as retina, ocular plastics, Pediatric Ophthalmology, vitreoretinal surgery, retinal ophthalmology, myopia, amblyopia (lazy eye), burning eyes, clinical trials Related to eye diseases, color blindness, cornea transplant, dry eye infographic, dry eye syndrome, eye allergies, eye herpes, eye twitching, floaters, flashes and spots , Fuchs' corneal dystrophy, keratoconus, macular dystrophy, ocular hypertension, ocular migraine, peripheral vision loss, red eyes etc.